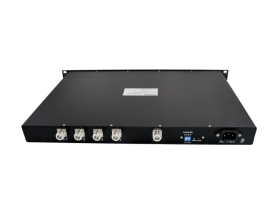 Multichannel receiver couplers provide compact cost effective solution to enable multiple receivers operating at different channel frequencies share one receiving antenna port in a land mobile radio system. Excelwave Technologies designs and manufactures receiver couplers for different frequency ranges and different number of channels. These products are provided with optional preselectors optimized for out of band rejection.